Windows Phone 7 devices with memory cards inside have come under fire. Why? Once the microSD cards are used in a WP7 handset, the format of the card is changed and cannot be used in other devices. This means that the SD card cannot be removed from the phone and replaced with, say, a higher capacity card. On Microsoft's help and support site it discusses the SD Card 'limitations', explaining: "You should not remove the SD card in your phone or add a new one because your Windows Phone 7 device might not work properly. "Existing data on the phone will be lost, and the SD card in your phone can't be used in other Windows Phones, PCs, or other devices." The reason Microsoft gives for this is as follows: "To help ensure a great user experience, Microsoft has performed exhaustive testing to determine which SD cards perform well with Windows Phone 7 devices. 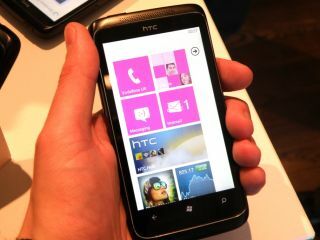 "Microsoft has worked closely with OEMs and MOs to ensure that they only add these cards to Windows Phone 7 devices." In short: Microsoft has made what was once removable storage permanent. If you do remove the card, then, according to Microsoft: "All phone functionality is disabled except for the ability to make emergency calls. "The phone will function normally again only if you reinsert the original SD card and then start the phone." Currently there are no phones in the UK which have SD storage capacity but, as these handsets are trickling into the US, expect some phones to appear in the near future. It has been revealed, however, that Microsoft does intend to release a range of Windows Phone 7 compliant SD cards at some point. Samsung, on its support site, has announced that the SanDisk 8GB Class 2 MicroSD has been certified for just this, but there's no news on when this information will be made official by Microsoft. Making handsets heavily reliant on microSD but not allowing for self-expansion isn't something which be liked by those who have been happily expanding the memory on their non-WP7 handsets for years.